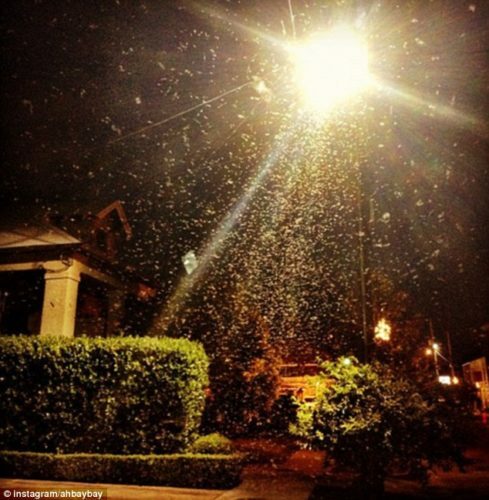 New Orleans was struck by tens of thousands of swarming Formosan termites on Wednesday night, similar to something out of a creepy disaster movie. 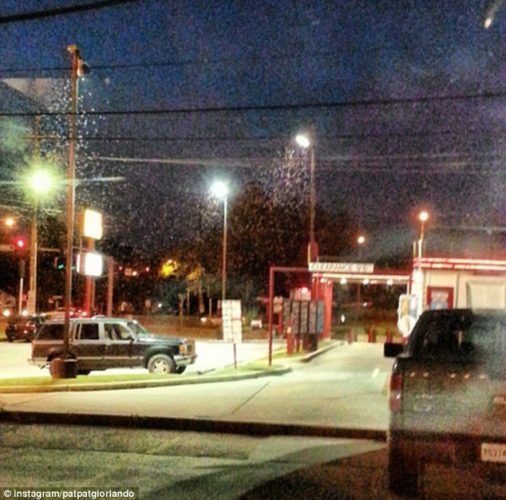 In this area, termites usually swarm like clockwork at the beginning of May. Because of the cooler temperatures and drier air in the New Orleans area, the termite outbreak was delayed until last night’s warmer conditions. Formosan termites are not native to the United States and were introduced from the Far East in packing crates and other wood products during World War II. 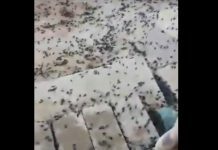 Massive infestations in and around New Orleans have become endemic along Lake Pontchartrain and at the naval shipyard in Algiers. 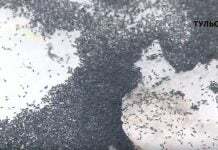 These huge swarms of Formosan termites form because they only are capable of flying 300 yards in search of a mate and then the pair drop to the ground to burrow a nest if successful. 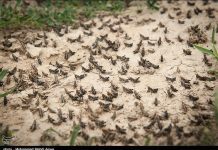 However, the large majority of the termites never manage to find a place to mate and burrow and die on the ground as they fail to find shelter. A termite needs about five years to become mature and restart the mating cycle. Mature termite colonies can reach up to 5 million individual insect members.